My son settled in so quickly – he is in year 9 – and he loves the school. He really likes all of his teachers, and reports that they teach very well. Also extension work is always available in class which is excellent. He's made some good friends too (which he struggled with a bit at his old school). All in all, we are very pleased indeed with the school, and appreciate the ethos which Mr Taylor promotes well - that children are individuals and need to be treated as such and nurtured. North Bridge House Canonbury is rated ‘Outstanding’ in all areas of its Senior School and Sixth Form provision following the Ofsted inspection. Having only opened in September 2014, Ofsted’s report reflects how much the school has already achieved as Islington’s first independent senior school for 13-18 year olds, based on the longstanding success of the North Bridge House group. Ofsted also identifies the ‘consistently outstanding support’ that students receive and the ‘highly effective teaching’, which not only motivates pupils to fulfil their potential, but encourages them to develop a self-confidence that aids their academic progress significantly. WHY CHOOSE OUR SENIOR SCHOOL & SIXTH FORM? At North Bridge House Senior Canonbury we are dedicated to providing our students with an outstanding education and to developing happy, confident young adults with the skills to become future leaders. Thanks to our small class sizes we are able to tailor our teaching and support to meet the needs of every child. To broaden our pupils’ interests and help them develop new and transferable skills, we offer a diverse enrichment programme – often in conjunction with our sister schools. This summer, for example, pupils are undertaking charity work in Malawi alongside their peers from our Senior School in Hampstead. Our timetabled enrichment programme includes activities as diverse as Mandarin and Yoga, whilst almost all of our Sixth Formers undertake the EPQ. We also host regular ‘World of Work’ events whereby students get to hear from – and question – specialists from a broad range of industries. These activities are not perceived as ‘extra-curricular’, rather they constitute an integral part of the overall educational offering. Students from North Bridge House Senior Canonbury achieved an impressive 27% Grade 9s in the school’s second ever set of GCSE results. 68% of all grades achieved an A*/A or Grade 7 and above. A remarkable 32% of students secured a Grade 9 in Maths. Four students also sat Further Maths GCSE – a qualification designed to stretch particularly high achieving Mathematicians and the only one which offers an A** award – and achieved 3 A** grades and an A*. The school’s impressive number of Grade 9s continued across science and languages with 62% of students achieving the top grade in Physics and 80% in Spanish. Star student, Oscar Brogden particularly excelled, gaining a complete set of Grade 9s and A*s. With nine Grade 9s, plus an A* in Music and an A** in Further Maths, Oscar is one of very few pupils to score so highly across the country. North Bridge House Senior Canonbury’s third set of A Level results saw a number of the 26 Year 13 students achieve a clean sweep of A*/A grades. With an A* in Maths and A grades in Physics and Further Maths, Arpi Saruhanyan secured a place at her first choice university, the University of Exeter to study Astrophysics. Economics was a particularly popular subject of study with the class of 2018. Josh Tucker (AAA) accepted an offer from the University of Nottingham to pursue his interest while Sepehr Edalation (AAB) chose Queen Mary’s to study the subject. Yusif Cahusac (AAAB) will embark on a Political Economy course at Kings College, London. NBH Canonbury maintained its strength in Modern Foreign Languages as students sat A Levels in French, Spanish, Italian and Chinese. Spanish results were particularly impressive with all candidates gaining A grades. 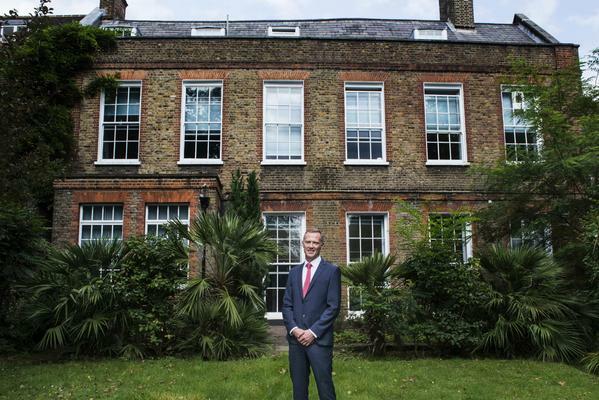 Head at North Bridge House Canonbury since 2014, Jonathan Taylor has leadership experience in a variety of UK and international schools. He was previously Head of Dulwich College in Zhuhai, China. Following graduation I spent some time teaching English in Greece and the experience shaped me in so many ways that I regard it as one of the most formative periods of my life. I derived enormous satisfaction from seeing my students learn new words and develop the confidence to communicate in English. I soon changed my plan to embark on a graduate scheme in retail management and instead enrolled on a PGCE at the University of Birmingham. Since then I have taught in State, Independent and International schools and enjoyed wonderful experiences in each. 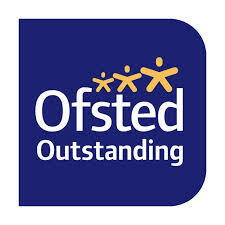 Obviously Ofsted rating the school Outstanding in all areas in our inaugural year is a proud achievement - it is very rare that Ofsted are so bold as to award new schools such a rating. The outcome was testimony to the dedication and professionalism of the whole North Bridge House Canonbury staff; regardless of whether they were members of the leadership team, subject teachers, front of house staff or site staff, everyone rolled their sleeves up from day one in order to offer our pupils the very best education possible. On a more operational level, the thing which gives me the greatest pride is the extent to which our students themselves feel proud of their school and look out for one another. There is very much a ‘one for all and all for one mentality’ amongst the entire community. I would like to think this has been cultivated rather than being entirely fortuitous. The only non-negotiable to my mind is that each child must be both happy and safe - any school where children feel unsafe or sapped of joy is failing its pupils. Alongside the above, I would look for a school where children are ‘stretched’, whether academically or, for example, through a Duke of Edinburgh expedition. Successful schools coax students out of their comfort zones. Inseparable from this point is the development of soft skills, particularly perseverance and emotional intelligence. Although knowledge will never become obsolete, its availability through the internet and other sources will, I believe, lead to a premium being placed on individuals able to understand and manage others. A school is successful when its graduates leave well prepared and equipped for the challenges that lie ahead of them. Self esteem. We nurture students who are confident but caring, ambitious yet sufficiently balanced to meet triumph and disaster and treat those twin imposters just the same. Without self worth, all other achievements have the potential to become meaningless, indeed many of the finest minds have been tormented with self doubt and insecurity. There currently appears to be a belated but highly welcome recognition that the achievement of emotional wellbeing and academic achievement is not an either/or debate. I believe they are complementary rather than mutually exclusive. Finally, I would add that individuals who are comfortable in their own skin rarely, if ever, begrudge or belittle the achievements of others. Throughout my career the instances of bullying I have encountered have invariably had low self esteem at source. 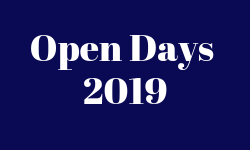 North Bridge House Canonbury is an inclusive school with high standards, where students of mixed abilities have the confidence to strive to fulfill their own potential whilst taking pride in the achievements of their peers. Nurturing, diverse, forward-thinking, high expectations, individual support. Looking for a tutor near North Bridge House Senior Canonbury?